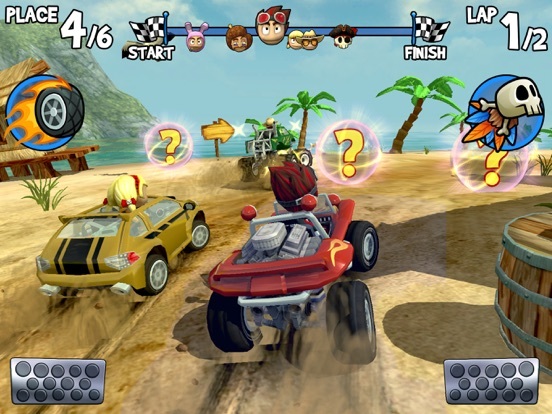 Drive into an action-packed, surprise-filled world of off-road kart racing mayhem! 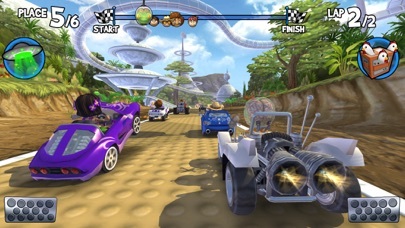 Race against a field of rival drivers, each with unique personalities and special abilities. 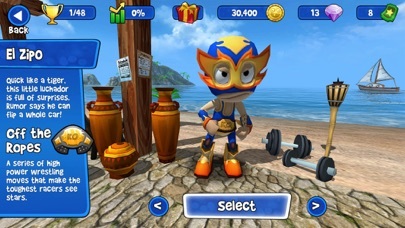 Build a collection of crazy powerups, like Dodgeball Frenzy, Fireball, and Oil Slick. 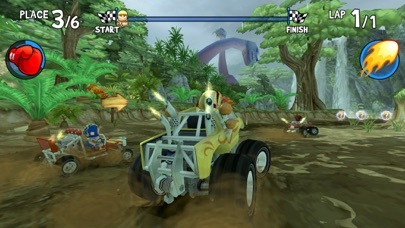 Unlock and upgrade a variety of cars, from dune buggies to monster trucks. 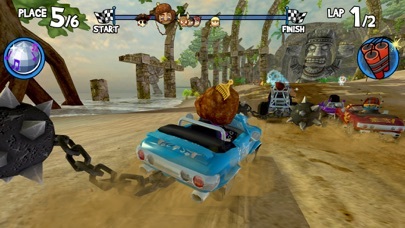 Test your skills in 6 different game modes on 15 imaginative 3D race tracks, against a pack of tropical-loving rivals with a serious case of road rage! 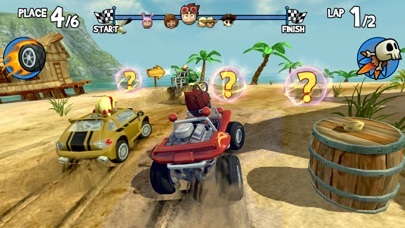 Fast, furious, fun and FREE, Beach Buggy Racing is a kart-racing island adventure for all ages. Compete with your friends on Leaderboards, earn Achievements, back up your game and keep multiple devices in sync with your iCloud account. 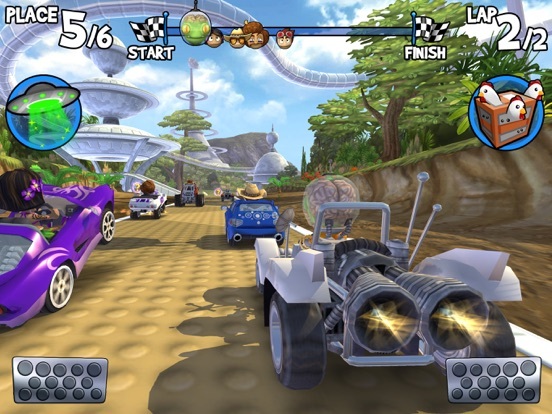 Seamlessly switch between tilt steering, touch-screen, and MFi game controllers. 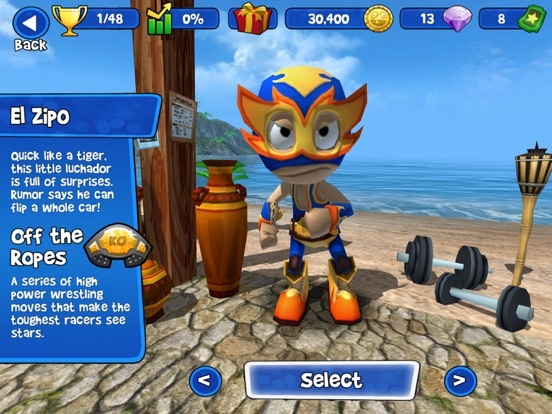 Customize the 3D graphics settings to optimize your play experience. 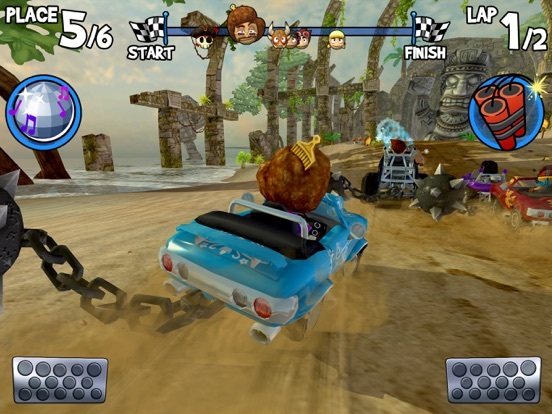 Full Metal optimization provides enhanced graphics, real time lighting and shadows, and super-smooth frame-rates on A7 and A8 devices (iOS 8+ only). 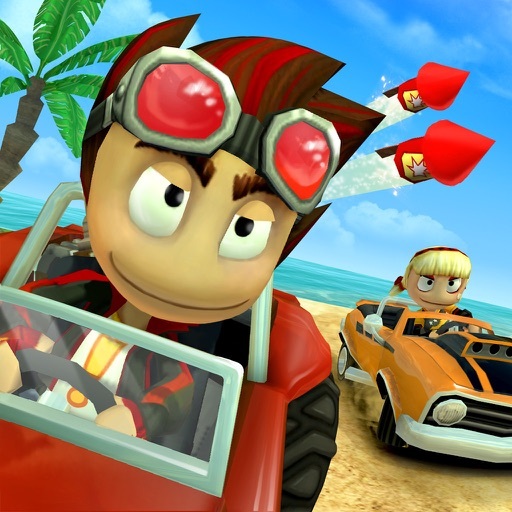 If you encounter a problem running the game, please email us at support@vectorunit.com. Be sure to include the device you're using, iOS version, and a detailed description of your problem.